The police called out the team to search for three overdue walkers, a 50 year old plus two teenagers. They had set off from Langdale at 1.30 pm to climb Scafell Pike and had not returned. The acting team leader called in Langdale Ambleside to carry out a the search from the Langdale side whilst Wasdale provided support from the Wasdale side. 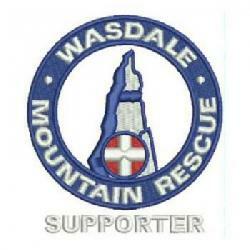 A limited call out was made for the Wasdale search groups. Before the Wasdale team were on the fell the missing walkers were located on the Langdale side. In all there were around 10 Wasdale members, a small group of LAMRT members and 3 SARDA search dogs with their handlers involved in the callout. Incident started at 22:15. There were 10 Wasdale team members involved.